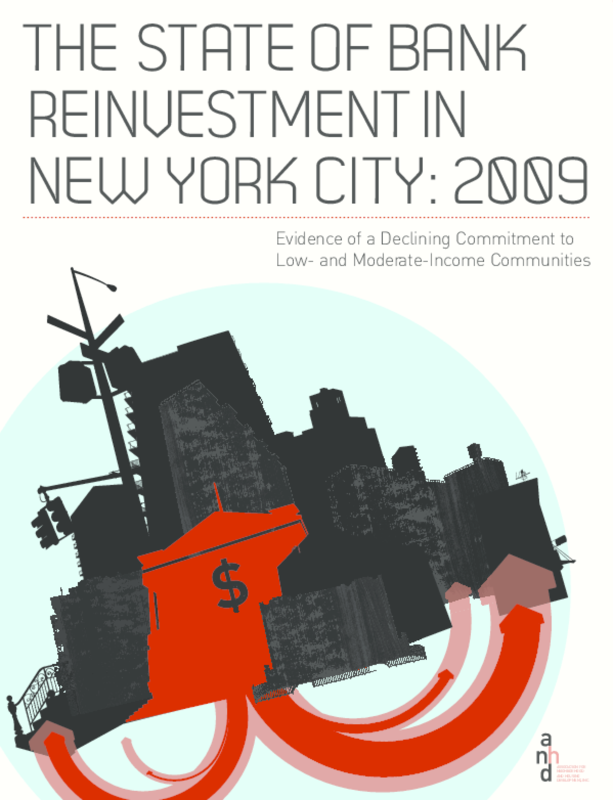 This report, The State of Bank Reinvestment in New York City: 2009 is based on data ANHD received from 17 of New York City's largest commercial, savings, and wholesale banks and presents empirical evidence of this retrenchment between 2007 and 2008. These reductions are denoted by red arrows in Appendix A. This reduced commitment is especially alarming to ANHD because it took place prior to the current recession and because one of the key markers ANHD looks for in determining which institutions are being responsive to the city's credit needs is consistent improvement year-over-year across a bank's reinvestment activities. Copyright 2010 Association for Neighborhood Housing and Development (ANHD).